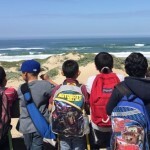 Guadalupe-Nipomo Dunes Center – 5 Reasons Outdoor Education Rules! 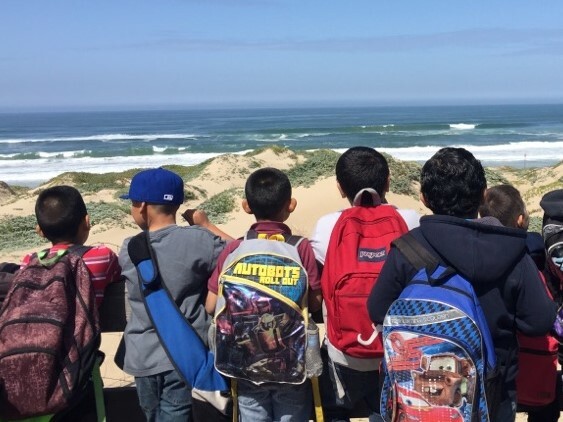 Here at the Dunes Center, we love getting students outdoors – it provides them an opportunity to see firsthand all the ideas they are learning about in the classroom. 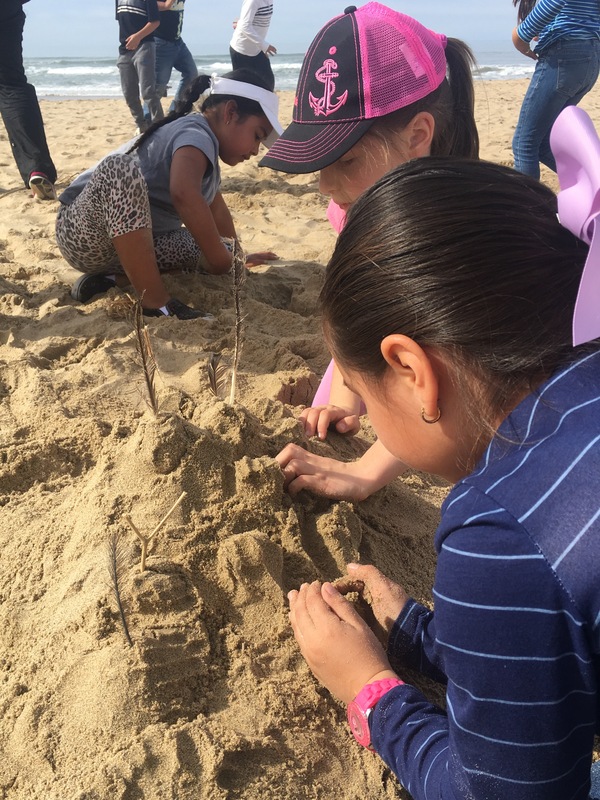 From exploring habitats to building sandcastles, our students are working together to discover the intricacies of our remarkable dune ecosystems. 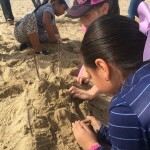 These team-building skills contribute to well-rounded learning that benefits students both in and out of the classroom. 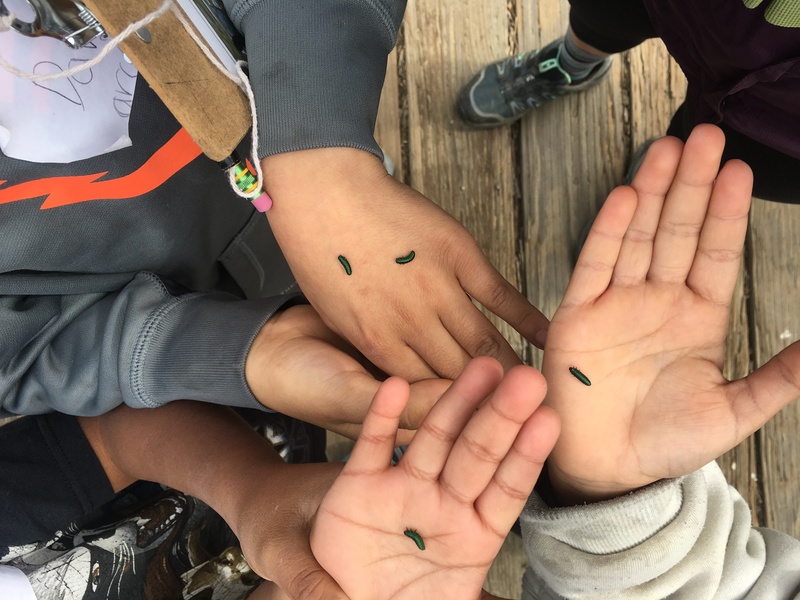 Last week we had second graders from Alvin Elementary come across beautiful iridescent-green larvae munching on mock heather. “Look at how many there are! What are they all doing here?! ?”, exclaimed a curious student. 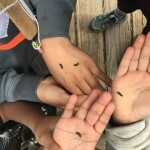 Taking the time to observe the interactions between organisms in these habitats sparks a sense of wonder that prompts students to find out more about their local ecosystems. There are many studies that suggest spending time outside boosts both physical and mental health. Exposing these students to local natural areas increases the probability that they will spend more time exploring outside on their own. 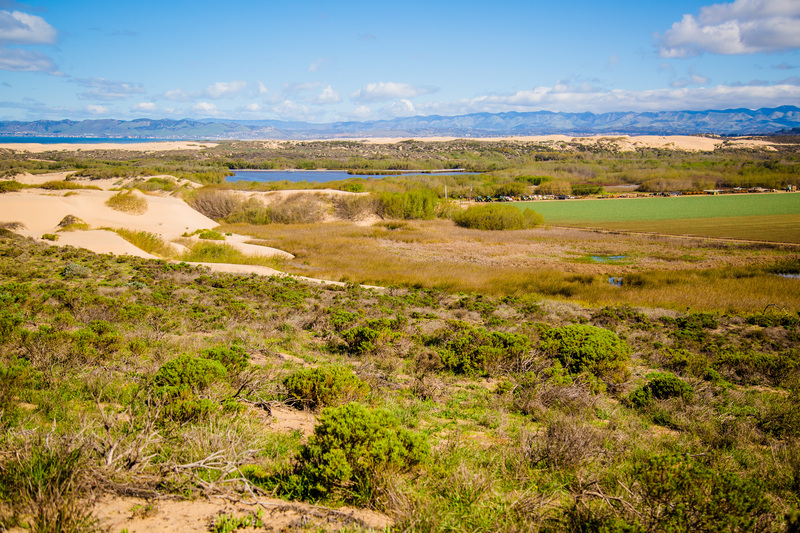 What is a sure-fire way to get students to think about the Dunes Complex? Take them out there! 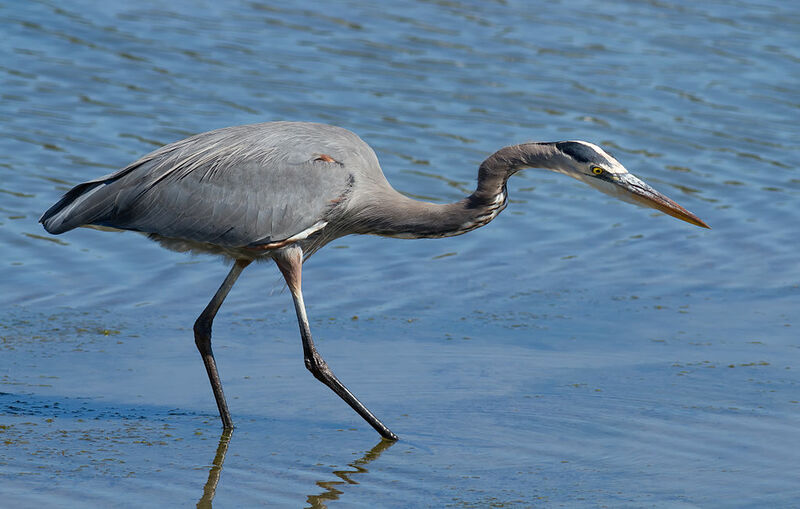 Spending time in nature leads to increased awareness and ultimately bolsters stewardship of our natural areas. Once students see what’s in their backyards they are more apt to take care of our magnificent open spaces. Who doesn’t get excited to leave school and learn outside for the day? Our students have a blast out in the fresh air, strolling through habitats and picnicking at the beach. Giving students time to laugh and play while they learn about their environment is a win for all! These are our reasons, but what do you think? Comment below about why you love getting outdoors!